Dr. Mansour, DDS provides many dental services covered by your insurance in Rochester Hills, Michigan for Chrysler in Michigan through Delta Dental. We specialize in personal attention, a gentle approach in dentistry and continuous care. We take great pride in making sure that all of your dental care and services are focused on YOU and your individual needs through each stage of your life. Exams are covered twice a year and are usually part of your regular 6 month checkup and cleaning, if you need an emergency exam it may take away from this benefit depending on the situation. Checkup x-rays (aka Bitewings) are covered every 24months, and full set/Panorex x-rays are covered every 5yrs. Your Delta Dental policy covers 2 regular dental cleanings each year. For those that have history of periodontal disease you can have 3 cleanings a year. If you have recently had a deep cleaning your policy will pay for a forth cleaning for the first two years following the deep cleaning (aka Scaling and Root Planning). Most insurance policies use a downgraded fee for tooth colored fillings, which means the patient would be responsible for the difference, which could cost the patient almost twice as much. Most plans with Chrysler do not downgrade tooth colored fillings, the plan pays them like any other basic restorative service. Depending on what plan you have chosen with Chrysler a crown could be covered up to 90%! Did you know that Traditional Braces and Invisalign are a covered benefit under your insurance plan? Most plans through Chrysler only cover orthodontics up to age 19. 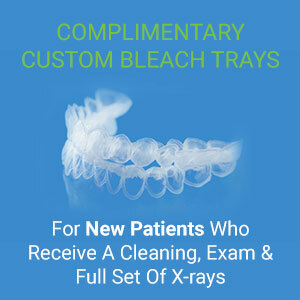 Call today to schedule your free orthodontic evaluation! Our office offers various teeth whitening systems like whitening strips, customs tray systems, and chairside whitening sessions such as GLO & ZOOM. Unfortunate your policy deems this as a cosmetic procedure and not a necessity so it not covered under your plan. *Insurance coverage may vary depending on site and position. Call us to verify.